A common saying in dermatological circles is that fingernails are the window to your health. 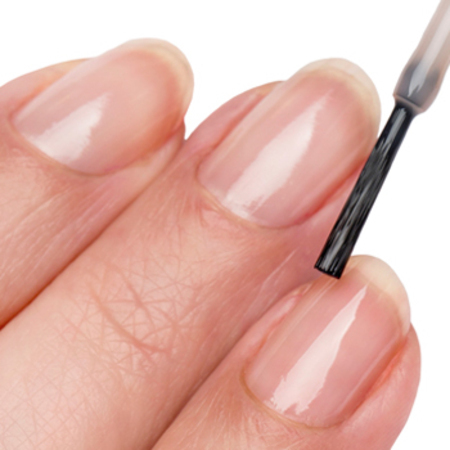 Strong and smooth nails provide the clues to your overall health. From the vitamin efficiency to a lung, or heart disease down to systematic diseases, such as lupus, or anaemia, your nails are a sign of any problem in your body. Finally, the importance of aesthetics is not to be undermined either. Beautiful nails build your confidence and confidence makes you even more beautiful and attractive. Keeping them dry and clean is the least you can do to improve the condition of your nails. Use a gentle cleanser, not containing harsh chemicals, including triclosan and sodium lauryl sulphate. Antibacterial soaps should be avoided. Wash your hands in lukewarm water. Hot water makes hands and nails dry, while cold water leads to a dilation of capillary vessels. One of the main culprits behind the split and brittle fingernails is leaving your nails in water for a prolonged period of time. Whether you wash the dishes, or clean your house, use gloves. Applying a moisturizer on your hands and nails should be the part of your beauty routine every day. 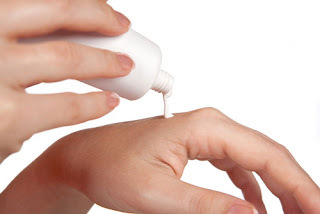 Make sure you rub the moisturizer both into your fingernails and cuticles. If you have dry skin, use oily creams. On the other hand, opt for moisturizers containing urea, phospholipids, or lactic acid to prevent cracking. A cuticle eliminator is also a good choice for dry cuticles. Not only does nail polish look unattractive on chipped nails, but it can also cause the damage of your natural nails. Applying a nail hardener strengthens your nails and protects them as it has a function of a protective layer between a nail polish and your nails. Finally, another benefit of a nail hardener includes increasing the lifetime of the nail polish and manicure. Various studies have confirmed the positive correlation between healthy nails and food. When it comes to vitamins, make sure you incorporate the following in your diet, or take supplements. Vitamin A is one of the most powerful antioxidants your body needs. Additionally, it helps your nails grow and it prevents hangnails. Vitamin B12 and B9 are also considered effective in increasing nail growth, as well as in strengthening them. Biotin is a part of a vitamin B family and its deficiency can lead to brittle nails. 0.03 mg of biotin daily is recommend for adults. Vitamin C cannot be manufactured by your body, so you should make sure you obtain it from food and/or supplements. This vitamin plays a key role in the production of collagen, a protein your nails, hair, skin and muscles are made of. Finally, vitamin D is good for absorbing calcium needed for healthy nails. Apart from vitamins, minerals should also be obtained both from food and supplements. Calcium is beneficial for your nails in more than one way. Firstly, calcium deficiency results in brittle, weak and dry nails. Secondly, calcium promotes nail growth. Although diet is the best way to get calcium, calcium supplements are also an option. The appropriate magnesium-calcium ratio is 1:1 as magnesium and calcium metabolism are interrelated. The results of iron deficiency include thin, brittle nails, their concave shape and raised ridges. Another mineral essential for healthy nails is zinc. Lack of zinc in your body can cause abnormal discolouration of your nails, as well as their slow growth. If you decide to take zinc supplements, bear in mind that zinc can lead to diarrhea. The recommended daily amount of this vitamin is 8 mg for adult females and 11 mg for adult males. To conclude, healthy nails are not only beautiful, but they can ensure that your overall health is good, too. Understanding the connection between these two aspects is crucial, so the next time you visit your doctor for a regular check-up, ask him/her to look at your nails. Amy Mia Goldsmith is an Australian literature graduate with a passion for healthy lifestyle and organic cosmetics. Thank you Amy for another fantastic post! If you haven't already checked out Amy's previous post here on Beautifinous called Benefits of Argan Oil For Skin, make sure that you definitely take a look!